I’ve been recently musing over whether to buy the wide angle adapter WCl-X100 for my Fuji x100 thereby bringing the focal length down from 35mm to 28mm. Its apparently a nice piece of glass which doesn’t alter the quality of the photos (yey) nor does it compromise the max aperture of f2.0 (yey). It costs $350 – see a review here. 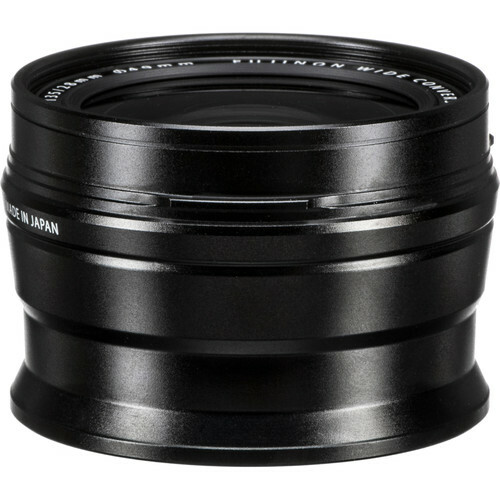 This it what the wide angle adapter lens looks like mounted on a x100 – make the camera less pocketable! Which presents a problem re putting it in a case and having it strapped to my belt. With the wide angle adapter mounted, I wouldn’t be able to do that anymore. And that was the whole point of getting the x100 – something with a flat pancake lens that would fit in a camera bag attached to my belt. Well I guess I could use the wide angle adapter on special ocassions and forgoe the belt bag – but I would then need to do something like hang it around my neck or shoulders as I walk around. they are hard to remove – ditto – what about a quick release system? 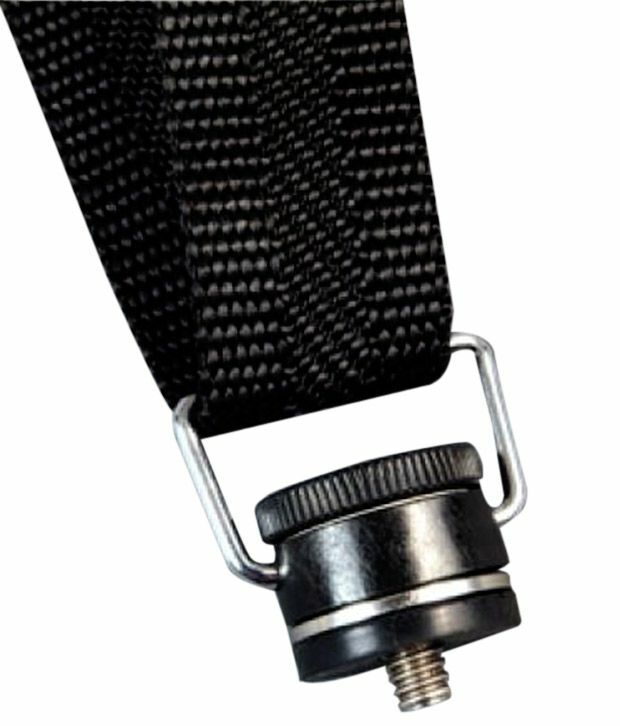 One solution that avoids normal camera straps might be to buy into the special strap systems which attach to the camera’s tripod mount hole – like the sun sniper. These require a little adapter what screws into the tripod hole. You quick connect a strap to the ring on the widget and hang it upside down from your neck or whatever. To remove the strap you unscrew the widget from the tripod hole – fast and easy. Fuji x100 hanging upside down using my home grown camera strap system. 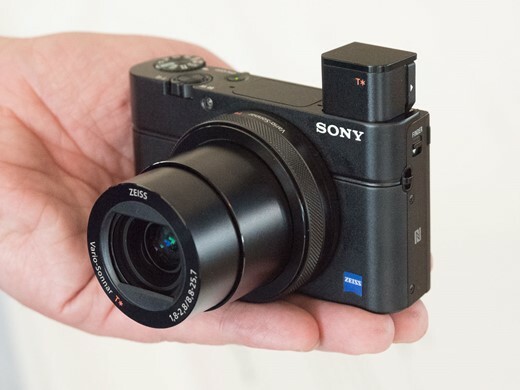 But then I got to thinking that if I spent a bit more money ($699 or so) I could get a whole new camera, the Sony rx100 which does 28mm to 105mm, and which seems to be all the rage at the moment (as of July/Aug 2012). This review claims the Sony rx100 is “the-best-pocket-digital-compact-of-the-year-actually-ever”. Whilst the image quality of the rx100 is apparently stunning (though it is a smaller sensor than the x100) I haven’t been able to see “the quality” in the online photos that I’ve viewed. Hmmm. Maybe I’m just spoiled by the gorgeous fuji x100 image quality. I’m sure the rx100 wouldn’t disappoint – if only it was cheaper. Perhaps I’ll just wait for the dpreview.com review of the sony rx100 to make up my mind! Update 18 August 2012 – tried the Sony rx100 in a shop! I tried an rx100 in a camera store yesterday and compared it to my Fuji x100 (taking the same shots). When comparing the shots at home I found the sony shots had quite aggressive noise reduction when examined closely. 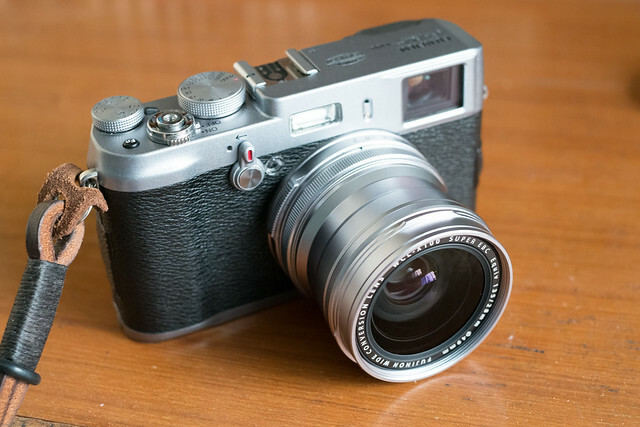 The x100 on the other hand was clean and inspiring to look at – when examined at 100%. So it seems that re sampling/resizing the photo is the trick to getting the more natural look out of the rx100, and avoiding the artefacts created by aggressive noise reduction. I’m already dealing with 12 mp with my fuji x100 so resizing the rx100 down from 20 mp to say, 12 mp – in order to get better image quality – is not a big deal. I just wish I had more time with a rx100 to do more testing. Careful where you comment on YouTube! I wasn’t claiming anything definitive about the rx100 based on my quick tests, just posting an observation, hoping perhaps someone had some knowledge or feedback on the matter. I’m aware of all the good reviews and certainly the photos in your review were all excellent. Just wish I had more of a chance to test this camera in the field. Not sure what is behind the censorship and aggression. I am a mature adult with many years of passionate photographic work behind me – not a forum kid. I have no idea why Blunty reacted the way he did. Perhaps he got offended that I was somehow challenging his glowing in-depth and thoughtful review of the camera, with a cheap shot. I certainly didn’t mean it that way. I’m wondering whether I should maintain my subscription to his YouTube channel – I’ve always found his reviews good, so am loathe to unsubscribe over this incident – though I certainly won’t be posting any more comments there – way too dangerous! I’ve since googled around and found several mentions of ‘aggressive noise reduction’ regarding the rx100. This makes me feel better because it means that I am not alone in my findings (cursory though they were – in a camera shop, looking out into a well lit, large food hall). Presumably all the following evidence was gathered from a wider variety of shooting conditions. You can see some sample photos in that review showing the problem. As well as my earlier suggestion of resizing images down – Luminous Landscape contend that RAW mode is another way of avoiding this problem. jpeg image quality turned out to be not satisfying for me. Yes, it’s better then any compact out there, but after Panasonic GH1, which is not even the best 4/3 it’s hard to go back to anything less. RX100 images look decent when reduced in size, but even at base ISO they seem either unclean or over processed. I even tried just shooting in 10MP mode which helps. I too am extremely dissapointed with the jpeg quality. Too much in camera noise reduction. Anyone who thinks otherwise is not being honest with themselves or just trying to justify the high price of this camera. I also really like the LL site. Yes, there may be a Sony heavy hand in noise reduction at high ISO but they state there is no reason to use post processing for noise up to 800 and show how nice an ISO 3200 pic can be w/ some PP. In general, JPEG compression is much more aggressive in compact cameras than in DSLRs. The RX100’s noise reduction and sharpening adjustments are more obvious than the colour adjustments in JPEG compression, especially at ISO 1600 and higher where detail is much more ‘mushy’. Therefore, in low light it is worthwhile shooting in raw format. It could be good if Sony allowed the choice to use less-aggressive noise reduction; at a pixel level, there’s some heavy processing going on, and it really is fairly noticeable. You will not see this unless you print large prints at high ISOs, although, and for those who favor this camera does shoot RAW so you have got the option of processing oneself. in order to get the results I want. Its like when you get a new lens, you do take shots of brick walls, check for focussing problems, distortion, sharpness. Once you are satisfied that the lens is not a dud, and you understand its limitations you move onto the next stage and go out and take photos. Nothing wrong with that. Anyone who tells you that you should not pixel peep is just imposing their ‘political correctness’ on you. In a set of balanced photographic practices, pixel peeping is something we all do to a certain extent and as long as it doesn’t get out of hand, is a fine and sensible thing to do. As for rudeness in photographic forums (and other internet contexts e.g. you tube comments) – there seems to be way too much aggression and plain childishness out there. I’ve noticed it more in photography forums and circles. You hardly see it in software programming forums. Lack of basic manners, bring back old school manners, I say. A bit of civilisation has been lost these days. A general coffee culture – people drink way too much of the stuff and it affects their patience. Sounds silly but its a deep truth which nobody wants to acknowledge due to their addiction to the stuff. If you drink more than a cup of coffee a day – you may be affected. Anyway, this post got rather long and off topic! This entry was posted in Fuji x100 and tagged home-grown, sony rx100, wide angle, x100. Bookmark the permalink.